2015 has been a big year for video games. From the controversies, to the triumphs, to the surprise releases, to the car-smashing, supervillain wrecking, crime solving, tear jerking, necrophage slaying gameplay, it’s safe to say 2015 brought a few eventful memories to be nostalgic of a few decades from now. From a bigger perspective, 2015 has opened even more doors for the video game industry and its wonderful community for 2016. But before we get to that, let’s look back to the biggest and best releases the golden year of 2015 has blessed us with. What’s there not to say about Wild Hunt? You can’t even use it in a conversation anymore, it’s blown up into THAT much of a phenomenon like none other, bringing gameplay to a whole new level. The Witcher didn’t get to where it is in 2015 easily though. Starting of as a PC-only game run by BioWare&apos;s Aurora engine, it’s gone a long way. The overall feel, setting, graphics and surgically precise detail of the game is something to be awed of, allowing players to control the ever-masculine Geralt in smooth-as-silk combat. Not to mention its awe-inspiring graphics/environment. From the Crookback Bog swamps to the ice land of Skellige, the entire Northern Kingdom is just a beauty to gaze upon, in interesting contrast to the violence ensued by the ferocious creatures and wilderness haunting the realm. The characters are a work of art in itself as well, allowing the player to feel the emotional weight of choices made. Commendable also is the work CD Projekt Red put into their customer’s satisfaction, from the free DLCs to the numerous patches. 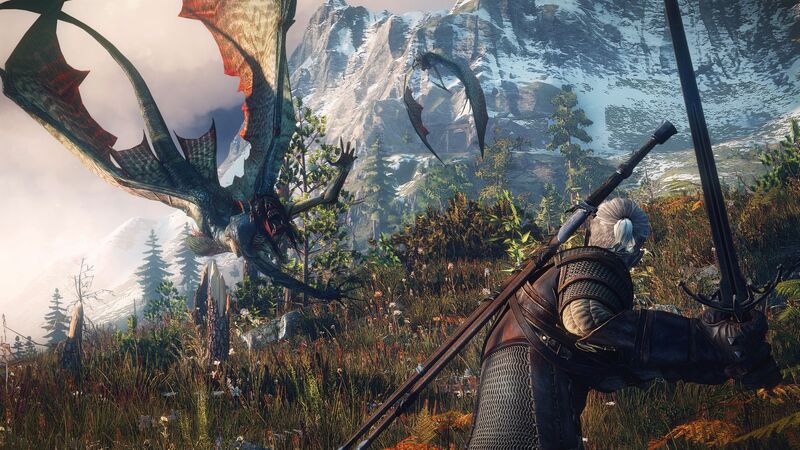 The Witcher 3: Wild Hunt is truly a work of art with a life of its own. Simplicity at its best, though simple never means dull. Rocket League is one of those games that go 0-100 fast with its intense gameplay. Essentially a football (soccer for you USA plebs) game with cars, Rocket League is a multiplayer for 4, with 2 in each side aiming to hit the ball with just the right angles into the nets, as how a normal football match would go. Looks can be deceiving though, as Rocket League is way harder than it seems. The competitive nature Rocket League brings about is worthy of comparison to Counter-Strike, DOTA 2 and the likes of those. No wonder it’s named the next big thing in eSports. Not to mention the movements offered by the game, enabling flips, shots, passes etc. free for players to exploit of. Being one of those games that are so silly, yet so fun, Rocket League certainly has made its mark on the gaming community in 2015. Raw, relentless, brutal gameplay is what makes Rocket League such a phenomenon. Redefining what it means to play a stealth game, Hideo Kojima takes it a step further by making the fifth instalment of his ever-iconic series open world. Making a stealth game open world can mean a few things. It can mean you’re free to take on each mission with MGS’s signature stealth manoeuvres. It can mean you’re free to take on each mission guns-blazing and rifle-toting. It can mean you’re free to, instead of taking on a mission, attach balloons to goats, sheep, et cetera to mark your new minions. Either way, it’s your choice. Making a stealth game open-world also means a million possible scenarios of violence is set to be unleashed by the Big Boss himself. The gameplay is spectacular, true to the style of Kojima’s 30 year old work. Complete with a plot worthy of praise, the story is as real as it gets, and doesn’t fail to create awareness that things like these actually exists in the world. Nominated for hundreds and hundreds of awards, and hundreds more to come, we can see whyMetal Gear Solid V: The Phantom Pain exploded into such a cultural phenomenon as it is, full of artistic vision, advanced gameplay and poetic, emotional storytelling. Ah why of course, a game as hyped as Fallout 4 is sure to leave an impact in 2015. Anybody who’s played the game can agree regarding the massive content, 10 hours or so into the game and you’ll feel like you’ve just begun. Indeed, Fallout 4 is a world to marvel. Set 200 years after the nuclear war, the plot goes deep into the aftermath and the destruction. Fallout 4 has a plot worthy of the big screen, exploring just how much the world has changed as you walk through the ruins of Boston in search of your son. Allowing you a unique vision of the post-apocalyptic world, Fallout 4 explores different social circles and a tale of survival. To make it even better, it’s completely open world. You’re free to craft weapons, items, armour and such alike. What really engrosses players to the game is the freedom of choice it grants you – a trait that makes a concept as flexible as Fallout even more fun. Good ol’ Lara Croft. She never fails to impress, even after 20 years it seems like it’s just the beginning for the evergreen Tomb Raider franchise. Guns toting fresh from the 2012 Tomb Raider reboot, Lara Croft returns to the limelight with a new feel to the franchise’s signature action-adventure style. Rise of the Tomb Raider reboots the Lara Croft character to a whole new level of visual art, as well as giving the Tomb Raider franchise a fresh new look. Everything missing from the previous Tomb Raider games seems to be filled and completed, and every aspect of the game is thoroughly designed. Everything feels just right in Rise of the Tomb Raider. The environment lives up to the classic Tomb Raider setting. The cutscenes aren’t too dramatic nor are they uncomfortably long. The gameplay and combat mechanism is smooth as fresh butter, and the puzzles are compelling, if not suitably challenging. If anything, Rise of the Tomb Raider lives up to its predecessor’s name, making Lara Croft a household name worthy of mention for year and years to come. Sort of an odd-one-out in our list of most impactful games, but there’s not mistake that Super Mario Maker deserves a spot in this list. Mario has been the household name for Nintendo since the start. True, Nintendo has made way more games than Super Mario, but there’s no competition who the golden boy is. Decades after the first Super Mario game, Nintendo still earns millions and millions annually from each new game. With Wii U’s Super Mario Maker, Nintendo is now giving YOU the chance to construct your own levels. Super Mario is known for its simplicity, and for a “maker” game the controls and gameplay are pleasantly simple as well as drag and drop is virtually all you have to do to create your own Super Mario level. What makes Super Mario Maker such a big addition to the franchise is its community database system, which enables other players to play your own handcrafted levels, and vice versa. Not only does the game give you a taste of what it’s like to be a game developer, it creates awareness and allows you to fully appreciate the amount of work put into Super Mario games. Who said 2D games are dead? It’s only natural what a hit Super Mario Maker has become. Bloodborne was a game highly anticipated before its release, and it sure didn’t disappoint. A haunting game of gothic fantasy, Bloodborne puts any other horror releases in 2015 to shame, and is widely considered to be one of the best horror games in years. Being one of those games that push you to the mental limit, Bloodborne isn’t for the faint hearted. The detail put into this game to send chills down any player’s spine is magnificent, along with its gothic, graveyard and Lovecraftian themed environment. Bloodborne is not an easy game, mind you. You’ll be pushed to the limit even at the easiest level, but that’s the beauty of it. The challenge and adrenaline rush readied from the content of the twisted world of Bloodborne is just what makes the game so painfully addictive. Credit has to be given to its writers for the game’s amazing gameplay as well. There’s a different method to accomplish every challenge, none of which are “hinted” or “guided”, which is bound to make Bloodborne a true classic along time. Life is Strange is an engrossing gaming experience like none other, exploring the depths of bold, artistic storytelling and emotion-driven gameplay. Life is Strange combines elements of supernatural, noir, coming-of-age themes which blends together remarkably well, forming an international phenomenon as it is at the present. A tearjerker game for many, Life is Strange raises many relatable real-world themes. Ranging from domestic abuse, teenage love, suicide, depression and other taboo subjects, you can see why the game became such a hit in the youth-dominant gaming community. The episodic game brings interactivity to its players like never before, allowing you to be fully engrossed in the emotional experience. Ignoring the poor lip-syncing and occasional plot holes,Life is Strange will definitely be a gaming experience you’ll never forget. Well written from beginning to end, every episode will either bring you to tears or get you hooked and emotionally attached to the series. Though its Windows version was poorly received, Arkham Knight is actually an incredibly solid game on its own. Everyone’s favourite superhero returns with more intense combat gameplay, compelling detective work and emotional exchange in this instalment of the Batman video game series. The graphics are astoundingly gorgeous, with every single detail of Gotham City underlined and bolded. Gameplay is as real as it gets in Arkham Knight, pushing the physical boundaries of in-game combat. The diverse Rogues Gallery is a major factor on its reception, bringing numerous comic book villains to light in video-game form with the most interesting results. Perhaps the most stand-out villain in the game though is Mark Hamill’s Joker, which highlights the sadistic nature of the Joker like never before. It’s truly an amazing matchup, depicting the minds of Batman and the Joker against one another, a true contrast or ideology and nature. The flow of Arkham Knight&apos;s gameplay is oiled to near perfection, allowing you to feel the rush of adrenaline as if you’re in Gotham City fighting crime with a black cape. The thrilling and immersive nature of Batman: Arkham Knight proves itself as an instalment that lives up to its legendary name. Ori and the Blind Forest was an ambitious project to say the least. Having a full 2D game developed in 2015 seemed a bit far-fetched by many, but sheer ambition by Moon Studio to put so much effort to create such a lush game in terms of gameplay, design, graphics, plot content, it all paid off for the best. Ori and the Blind Forest is hailed one of the most creative and original games of 2015, and rightly so. 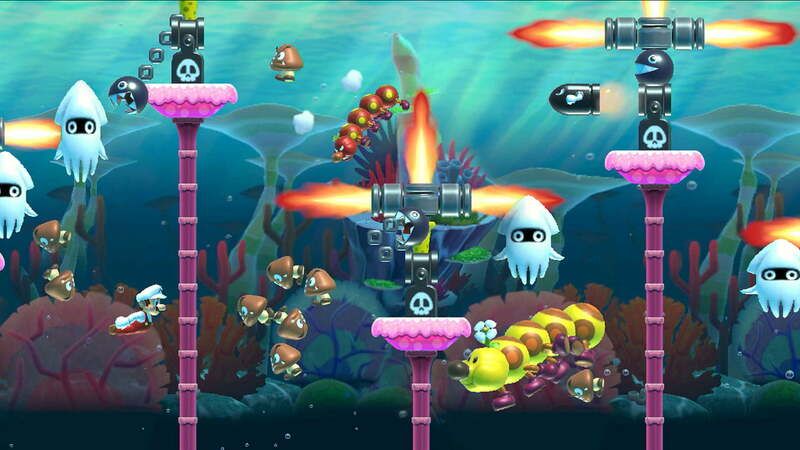 If the gaming mechanics and complex puzzles don’t stun you enough, the amazing graphics will shake you to the core. And if the realistically magnificent nature themed graphics still doesn’t impress you, wait till you get a load of the storytelling. Having a storyline that puts the likes of popular girly novel adaptations to shame, Ori and the Blind Forest packs a punch right in the feels. Do you agree with our list of 2015’s best games? If not, what are your best games of the year? Do let us know in the comments below! No Undertale, even in mentions? Shame! Shame! Shame! Isn't Undertale a cool concept but fairly overrated for what it actually is? I haven't played it myself but from what I've read, it seems to have been graced the same sort of unjustified hype as FNaF.